Presented a Denver Broncos road jersey worn by Emmanuel Sanders during the 2014 NFL season. 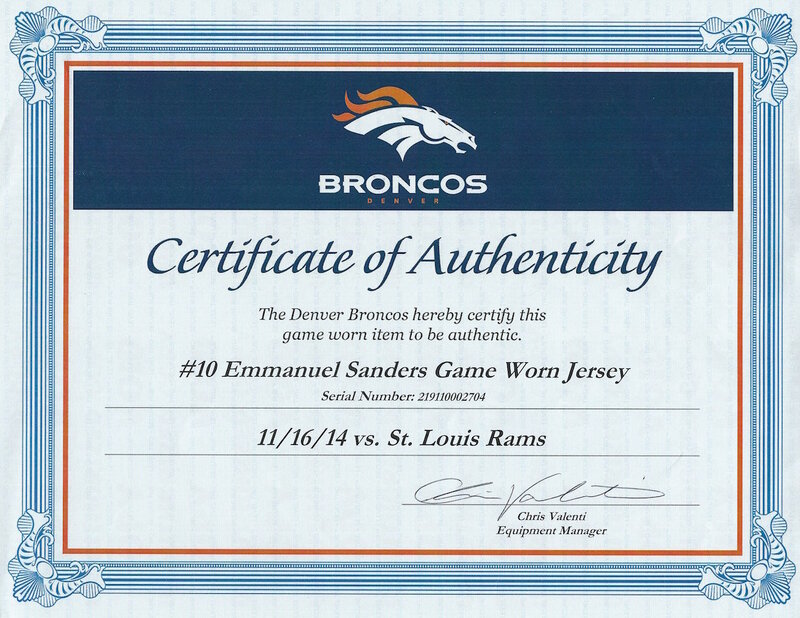 The jersey is authenticated and photo matches to a contest on November 16, 2014 versus the St. Louis Rams. 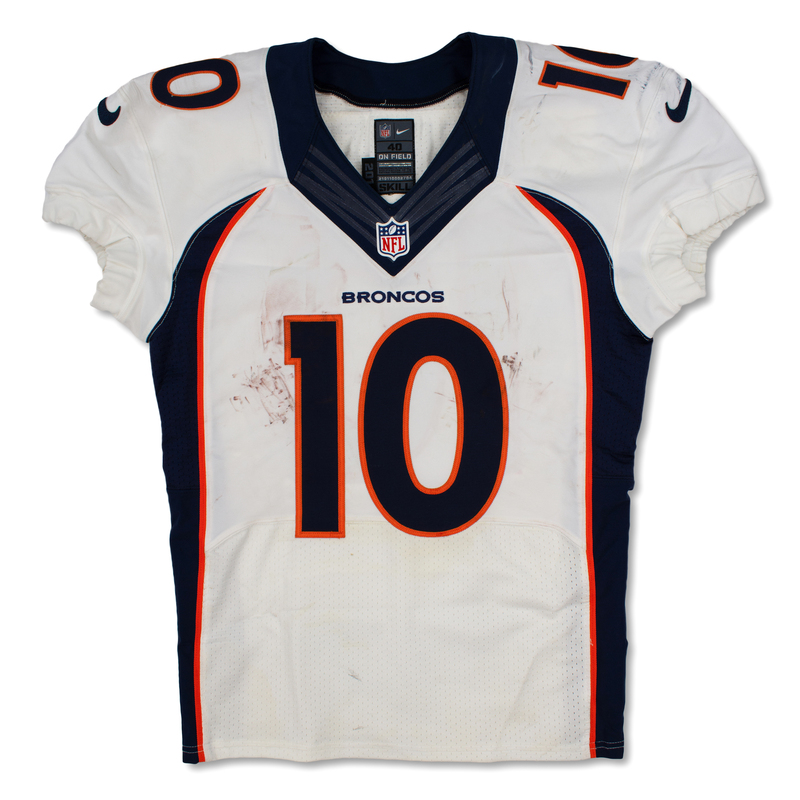 The size 40 Nike jersey is tagged "2014", "SKILL" indicating the manufacturing period and the cut of the jersey. 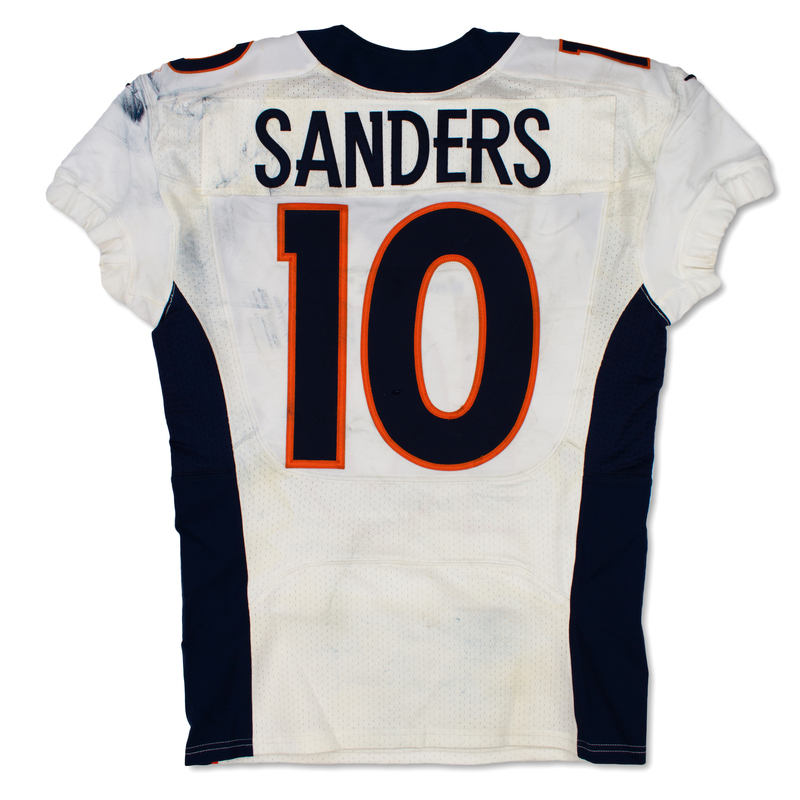 The garment shows excellent wear with field paint and stains throughout. 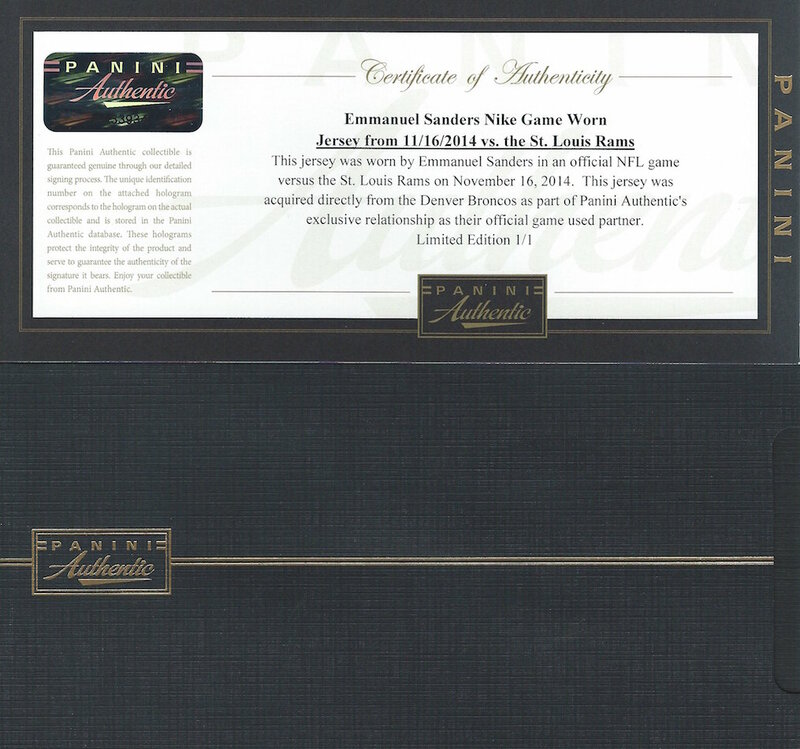 The jersey is authenticated and comes with a COA from the Denver Broncos and Panini Authentic.